Those willing to participate can share their stories with TyreSafe across its social media channels (@TyreSafe on Twitter and TyreSafeUK on Facebook) or via the contact form below. Please use the #ItHappenedToMe hashtag too. 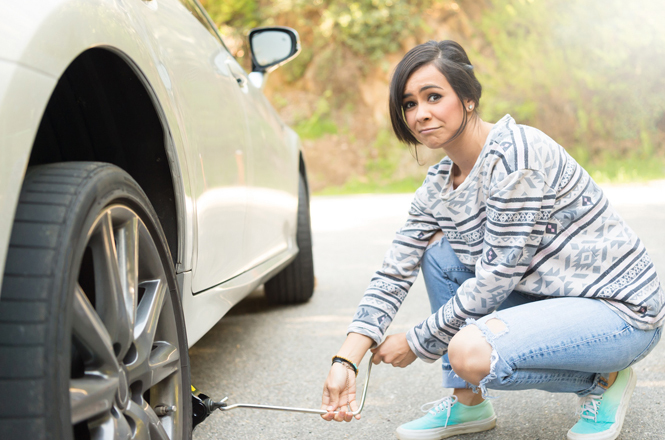 We want to hear your tyre-related stories, such as the inconvenience of discovering a puncture before setting off to an important event, discovering you don’t have a usable spare wheel after a puncture or a more serious incident. Stuart Jackson, TyreSafe chairman, said: “The personal stories of those involved in tyre-related incidents were a powerful motivation for those who came together to form TyreSafe ten years ago and for all who have worked with the charity since. It’s all too easy to lose sight of the fact that behind casualty and breakdown statistics there are often traumatic experiences affecting not only the lives of drivers but also everyone involved including other road users, families, friends and the attending emergency service officers. We must remember, one person suffering as a result of an avoidable incident is one too many. In some instances, TyreSafe will ask to conduct a short telephone interview to compile a case study, which would be hosted in the campaign’s dedicated area.